Several methods have been proposed in the past for extracting the blade performance of wind turbines from simulations. In this work, we present a new method that allows obtaining those data easily not only from simulation results but also from flow measurements. We apply the method to both experiments and simulations of a well-known wind turbine model. The results provide insight into the wind turbine aerodynamics and open up new possibilities for the validation of simulation models. We investigate the capability of wind farms to track a power reference signal to help ensure reliable power grid operations. The wind farm controller is based on a simple dynamic wind farm model and tested using high-fidelity simulations. We find that the dynamic nature of the wind farm model is vital for tracking the power signal, and the controlled wind farm would pass industry performance tests in most cases. A model for quick load analysis is presented. This is a fast model for the calculation of dynamic loads of an offshore wind turbine tower and foundation. The model is compared to the state-of-the-art aeroelastic code. In general, there is good similarity between the two models. This indicates that in the early stage of the design phase a simple dynamic model can be used to make a preliminary design of the foundation and wind turbine tower. Controlling the flow within wind farms to reduce the fatigue loads and provide grid facilities such as the delivery of a demanded power is a challenging control problem due to the underlying time-varying non-linear wake dynamics. 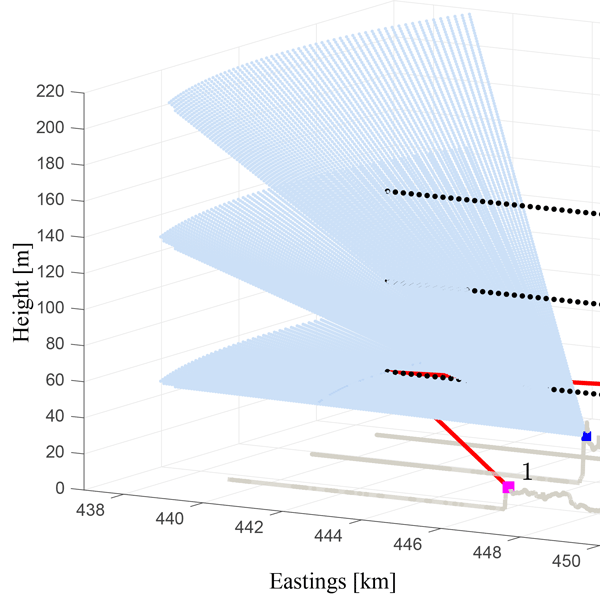 In this paper, a control-oriented dynamical wind farm model is presented and validated with high-fidelity wind farm models. In contrast to the latter models, the model presented in this work is computationally efficient and hence suitable for online wind farm control. Modern wind turbines all share the ability to turn (pitch) the blades around their main axis. By pitching the blades, the aerodynamic forces created by the blades are controlled. Rolling bearings, consisting of two steel rings and balls that roll on raceways between them, are used to allow pitching. To design pitch drives, it is necessary to know the losses within the bearings. This article describes how such losses have been measured and compares them with calculation models. The Department of Energy sponsored, Sandia National Laboratory led Blade Reliability Collaborative was formed to address wind turbine blade reliability. Utilizing the results of characterization and mechanical testing studies, probabilistic models were developed to assess the reliability of a wind blade with known defects. By treating defects as random variables, the results indicate that characterization of defects and reduction of design uncertainty is possible for wind turbine blades. The wind speed measured by a flow sensor mounted on the blade of a wind turbine is disturbed by the turbine. 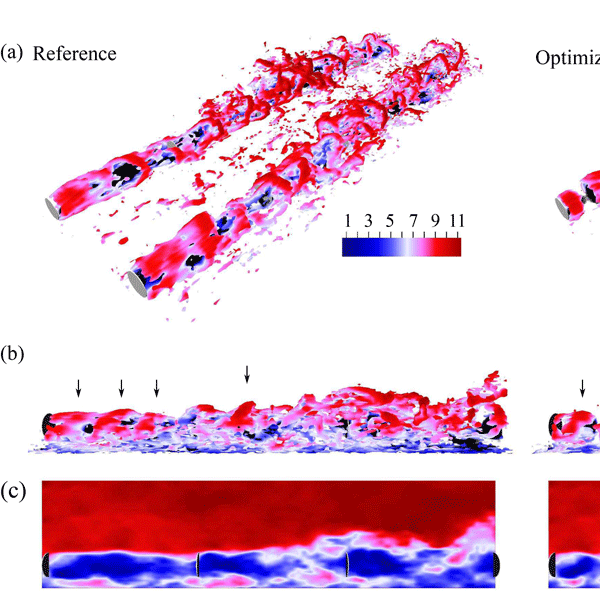 This paper presents a method to obtain the free turbulence inflow by compensating for this disturbance. The method is tested using numerical simulations and can be used to extract inflow information for accurate aeroelastic load simulations. 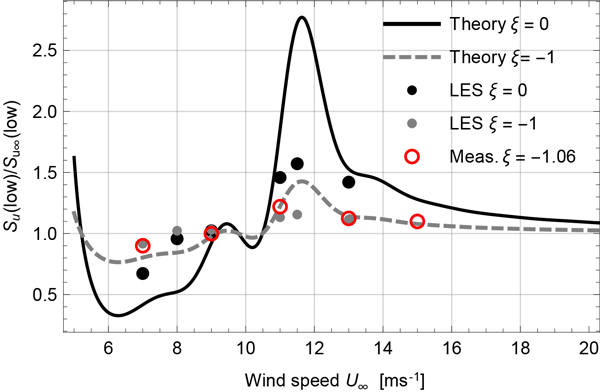 A reliable load history is crucial for a fatigue assessment of wind turbines. However, installing strain sensors to measure the load history on every wind turbine is not economically feasible. 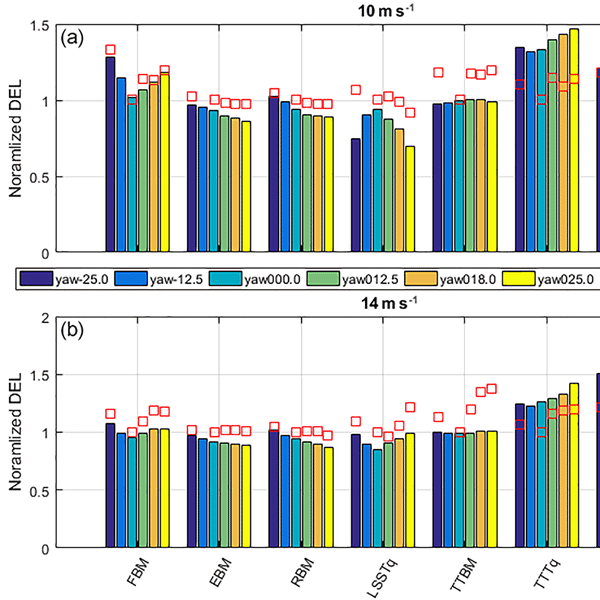 In this paper, a technique is proposed to reconstruct the thrust load history of a wind turbine based on high-frequency SCADA data and a trained neural network. Both simulated and real-world results show the potential of high-frequency SCADA for thrust load reconstruction. An efficient and accurate Monte Carlo approach is presented to assess the lifetime fatigue loading on a floating offshore wind turbine accurately. This is typically challenging in simulation effort due to the many different combinations of relevant environmental conditions which need to be considered. The applied method uses quasi-random Sobol sequences and shows promising performance with respect to convergence and accuracy. 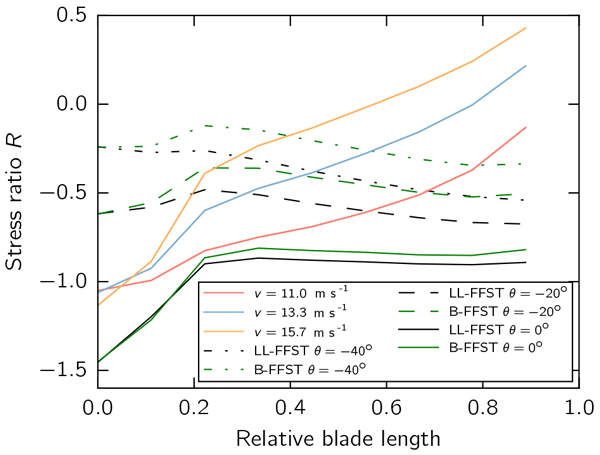 This research was conducted with the help of computer models to give argumentation on how the reliability of wind turbine rotor blade structures can be increased using subcomponent testing (SCT) as a supplement to full-scale blade testing (FST). It was found that the use of SCT can significantly reduce the testing time compared to FST while replicating more realistic loading conditions for an outboard blade segment as it occurs in the field. 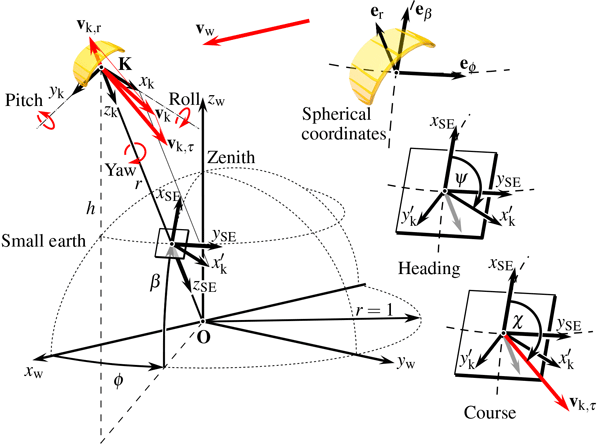 The paper discusses load effects on wind turbines operating under misaligned-flow operations, which is part of a strategy to optimize wind-power-plant power production, where upwind turbines can be rotated off the wind axis to redirect their wakes. Analytical simplification, aeroelastic simulations, and field data from an instrumented turbine are compared and interpreted to provide an informed picture on the loads for various components. We analyze the wake of the Anholt offshore wind farm in Denmark by intercomparing models and measurements. 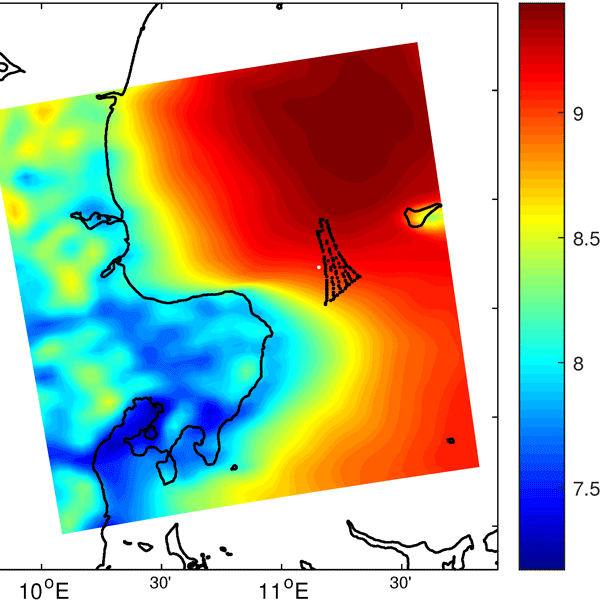 We also look at the effect of the land on the wind farm by intercomparing mesoscale winds and measurements. Annual energy production and capacity factor estimates are performed using different approaches. Lastly, the uncertainty of the wake models is determined by bootstrapping the data; we find that the wake models generally underestimate the wake losses. Simulations were used to design ducted wind turbines with the objective of either maximizing power per rotor area (PPRA) or maximizing power per duct exit area (PPDA). When PPRA is maximized, any rotor position within the first half of the duct produces approximately the same PPRA. When PPDA is maximized, the optimal position of the rotor is at the rear of duct. In this case, the PPDA exceeds the theoretical power per unit area that can be produced by an open rotor. Maximizing wind energy production is challenging because the winds are always changing. Design optimization was used to explore how flaps can give rotor design engineers greater ability to adapt the rotor for different conditions. For rotors designed for peak efficiency (i.e. older designs) the flap adds 0.5 % improvement in energy production. However, for modern designs that optimize both the performance and the structure, the flap can provide a 1 % improvement. This paper investigates the role of flow structures in wind farm control through yaw misalignment. A pair of counter-rotating vortices is shown to be important in deforming the shape of the wake. 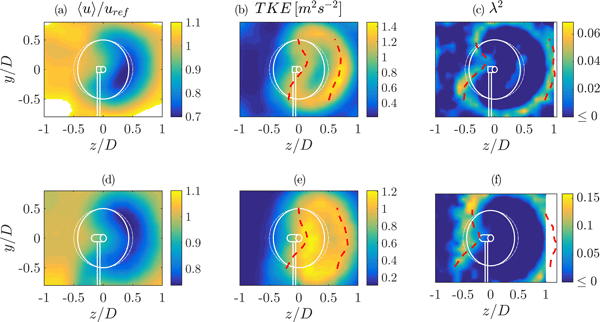 Further, we demonstrate that the vortex structures created in wake steering can enable a greater change power generation than currently modeled in control-oriented models. We propose that wind farm controllers can be made more effective if designed to take advantage of these effects. 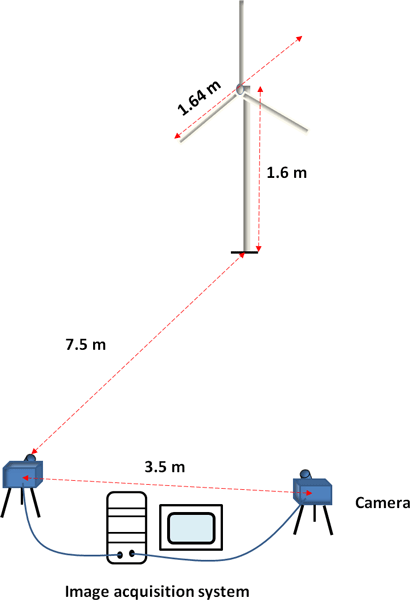 In this work, the wake flows behind two different model wind turbines were investigated in wind tunnel experiments user laser Doppler anemometry. 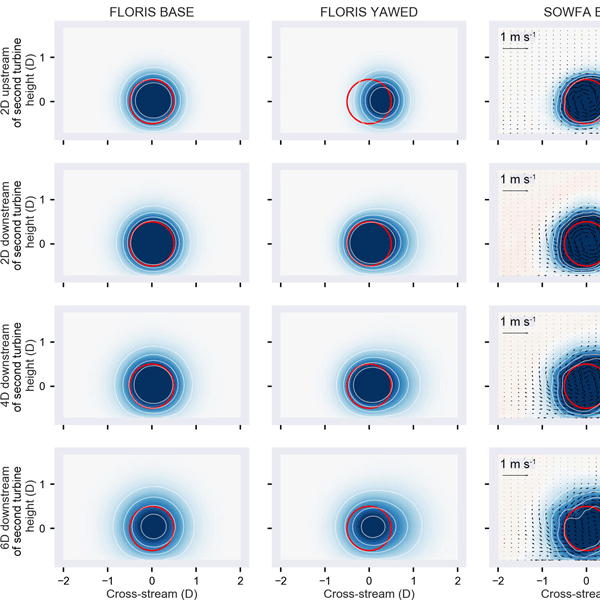 It was found that the width of the wake flow is significantly dependent on the quantities examined, becoming much wider when taking higher-order statistics into account. 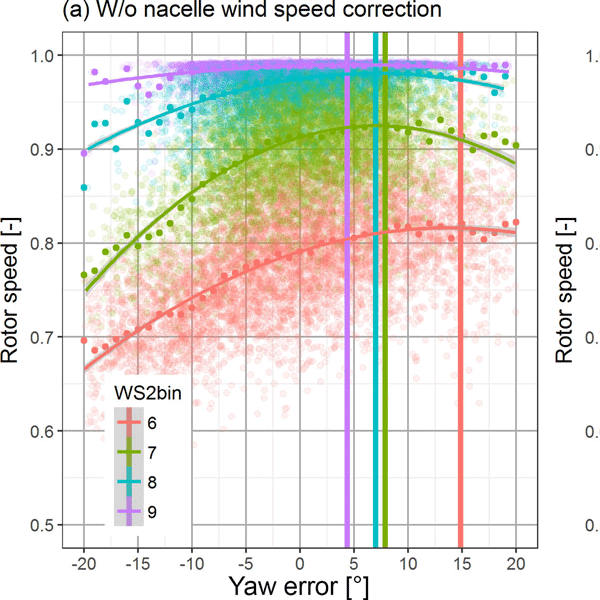 This effect is stable against yaw misalignment and thus affects not only wind farm layout optimizations but also the applicability of active wake steering methods. How does turbulence change approaching a rotor? Turbulence is usually assumed to be unmodified by the stagnation occurring in front of a wind turbine rotor. All manufacturers assume this in their dynamic load calculations. If this assumption is not true it might bias the load calculations and the turbines might not be designed optimally. We investigate the assumption with a Doppler lidar measuring forward from the top of the nacelle and find small but systematic changes in the approaching turbulence that depend on the power curve. 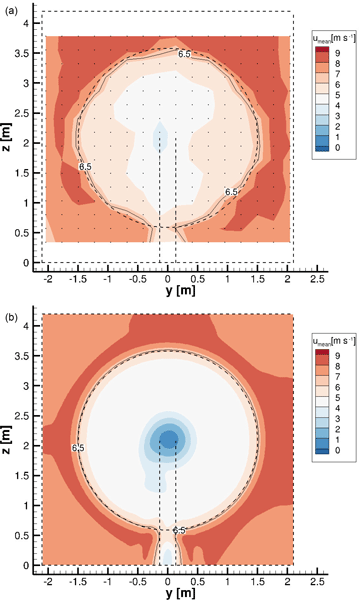 This paper presents a well-defined procedure for measuring the displacement on a HAWT via stereo photometry. 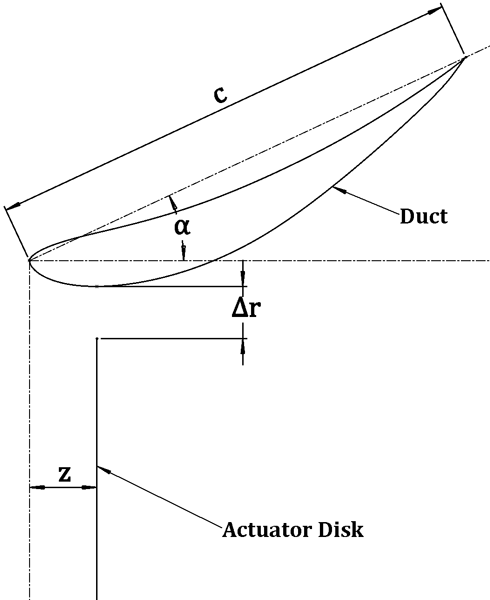 The method is demonstrated by measuring displacement during operation of a scaled down turbine model. The method is developed in (1) camera calibration and (2) tracking algorithm. We introduce an efficient, easy and practical calibration method for measurement in the large field of views that is always a challenge. Tracking algorithm also tracks the markers during rotation successfully. Wake steering by yawing a wind turbine offers great potential to increase the wind farm power production. A model scale experiment in a controlled wind tunnel environment has been performed to map the wake flow's complex velocity distribution for different inflow conditions. A non-uniform sheared inflow was observed to affect the wake flow only insignificantly. The level of turbulent velocity fluctuations in the inflow, however, influenced the wake's velocity distribution to a higher degree. The vortices in the wakes of wind turbines are often approximated by short, straight vortex segments, which cannot reproduce the curvature singularity in the induced velocity. They can also have a second error due to the periodicity: the vortices return to close proximity of the point at which the velocity is calculated. 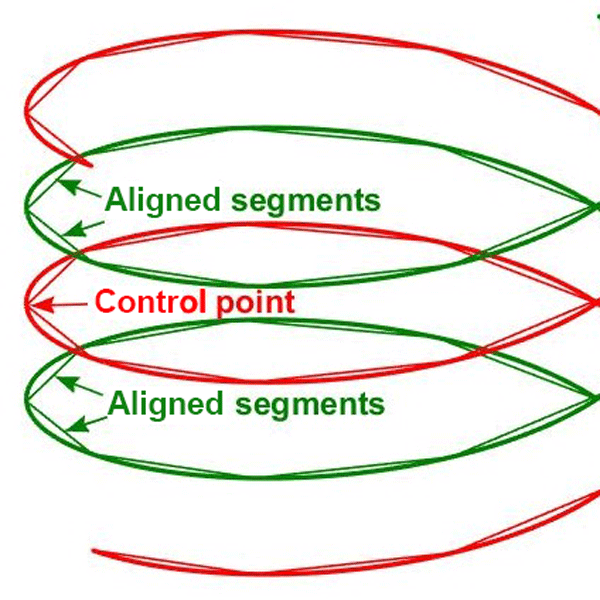 The second error is assessed by representing the far wake of a turbine as a row of vortex rings. The error is quantified and a simple correction is developed. 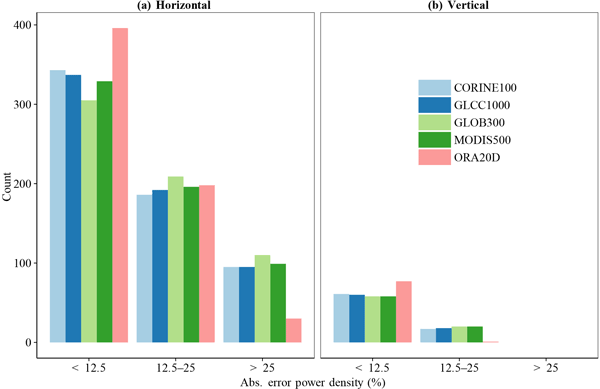 Applying erroneous boundary conditions (surface roughness) for wind flow modelling can have a large impact on the estimated performance of wind turbines, particularly in forested areas. Traditionally the estimation of the surface roughness is based on a subjective process that requires assigning a value to each land use class in the vicinity of the wind farm. 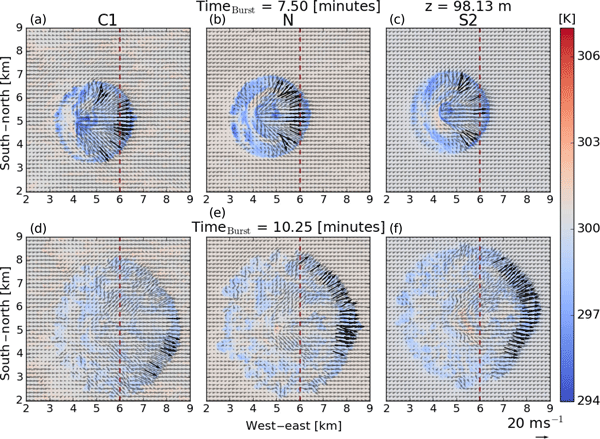 Here we propose a new method which converts lidar scans from a plane into maps that can be used for wind flow modelling. 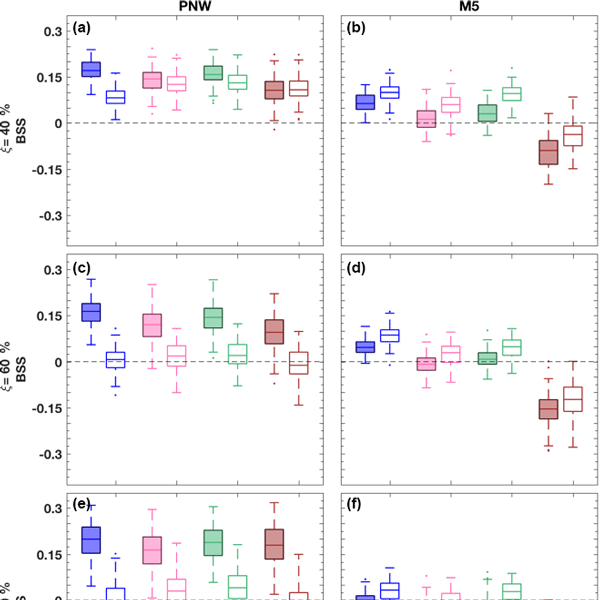 This paper uses four statistical methods to generate probabilistic wind speed and power ramp forecasts from the High Resolution Rapid Refresh model. The results show that these methods can provide necessary uncertainty information of power ramp forecasts. These probabilistic forecasts can aid in decisions regarding power production and grid integration of wind power. Upwind horizontal axis wind turbines need to be aligned with the main wind direction to maximize energy yield. This paper presents new methods to improve turbine alignment and detect changes during operational lifetime with standard nacelle met mast instruments. The flow distortion behind the rotor is corrected with a multilinear regression model and two alignment changes are detected with an accuracy of ±1.4° within 3 days of operation after the change is introduced. Wake interactions in wind farms result in power losses for downstream turbines. We aim to mitigate these losses through coordinated control of the induced slowdown of the wind by each turbine. We further analyze results from earlier work towards the utilization of such control strategies in practice. 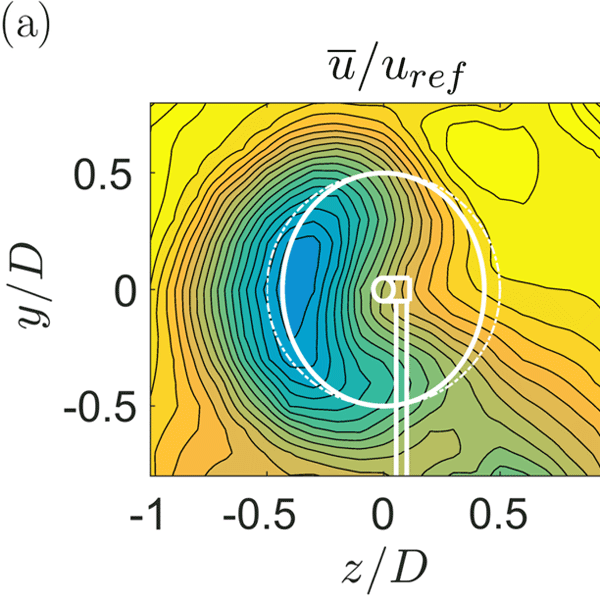 Coherent vortex shedding is identified and mimicked by a sinusoidal control. The latter is shown to increase power in downstream turbines and is robust to turbine spacing and turbulence intensity. 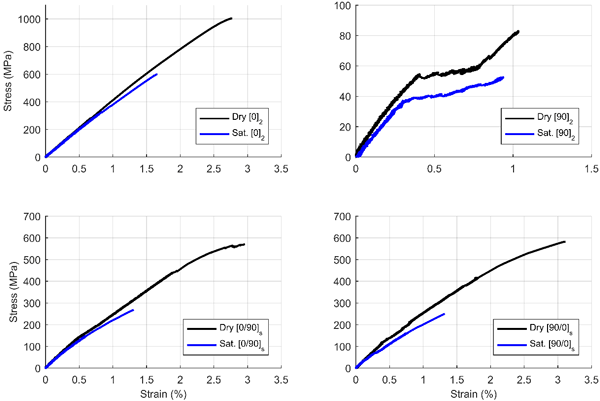 This paper presents an experimental investigation of the tensile strength of fiberglass–epoxy composites before and after water saturation. The strengths of , , and [0/90] layups all show a drop in tensile strength. However, investigation of the data, damaged coupons, and acoustic emission events illustrates a change in the mechanism governing final failure between the dry and saturated coupons. This illustrates the complexity of strength prediction of multiple layups after saturation. The paper describes the experimental and numerical investigation of a model wind turbine with a diameter of 3.0 m in a narrow wind tunnel. The objectives of the study are the provision of validation data, the comparison and evaluation of methods of different fidelity, and the assessment of the influence of wind tunnel walls. It turned out that the accordance between the experimental and numerical results is good, but the wind tunnel walls have to be taken into account for the present setup.